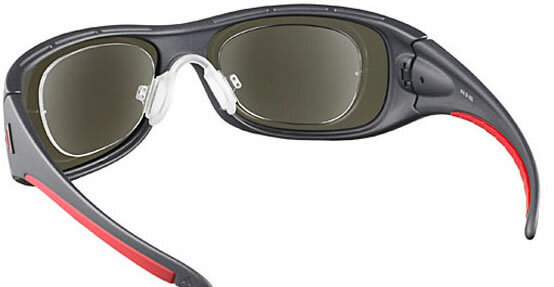 Q: Hey guys I'm looking for sports eyeglasses to buy for skydiving and since I need prescription glasses I’m having trouble finding the right thing. 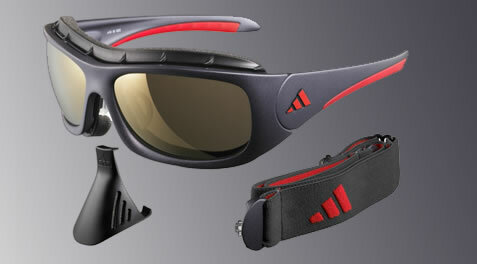 Why are there only inside clips for sports glasses ...? Usually, making a prescription eyeglass with shades is easy, you just choose the frames and the lens color and you have it. But this works only with prescription eyeglass frames, because the shape of the frame is standard and the lens can be mounted easy. * same with the lenses. So, if you want prescription lenses in this kind of frame, you have to mount extra curved lenses, made of polycarbonate or trivex, extra long and maybe polarized. You have to know that an extra-curved lens if made with diopters, will modify the way you see through it, because of the curve, so an adaptation period is required so there is a possibility that you will not accommodate with them. This is why they choose to put the inside clip, which does not require extra curved lenses, but standard lenses, so the adaptation is easier. Also, the mounting of the prescription lenses is more easy. The other thing is that the frame is extra-hard, so even if you got the best lenses, the mounting process is difficult and you have to find the right optician to do it. If you have the time, energy and enough money to do this, you can order the extra-curved, polycarbonate or trivex polarized lenses and a sport frame and find a good optician to mount them (all this together costs a lot). Or… you can just go with the inside clip.